Sunbrella Rain Upholstery fabric is 100% waterproof for total protection from the weather. Not only does it include the same Sunbrella-brand fade resistance and mildew repellence but it also provides quick drying. The outdoor furniture upholstery fabric is designed for seating applications in places with heavy rain. Composed of 100% Sunbrella acrylic synthetic fiber, the innovative canvas fabric provides excellent resilience to keep cushions clean and dry. In large selection of refined colors, styles, and patterns, the designer fabric blends unparalleled style with high performance. 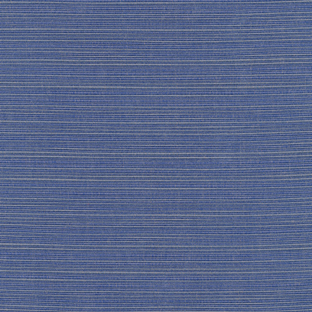 Sunbrella Rain Upholstery in Dupione Galaxy (8016-0000 77) delivers a color-rich focus to any space. Available by the yard.